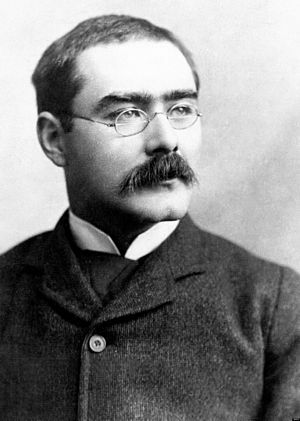 The ideas of Rudyard Kipling, the First English writer to win the Nobel Prize for Literature, may have been shaped by his Judaeo-Christian beliefs. The idea of standing before God’s great Judgement Seat belongs to the West. This idea is repeatedly expressed in Holy Bible. 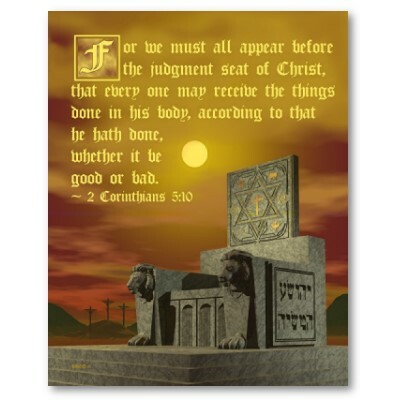 Apostle Paul in his Letters had expressed the idea of coming before Christ for Judgment. In the Book of Romans, Chapter 14, verses 11 and 12 read : It is written : ” ‘As surely as I live,’ says the Lord, every knee will bow before me; every tongue will confess to God.’ ” So then, each of us will give an account of himself to God. The idea of standing before God for Judgement is not specifically expressed in the East and particularly in the Land of India the Belief in the Theory of Karma shapes the attitudes. In India, the idea of Salvation is not expressed in the context of going to Heaven or Hell as the consequence of a Reward or Punishment on the Day of Judgement. The Law of Karma asserts that “The Fruit of one’s own making is indeed experienced in one’s life.” As per Indian belief, this inevitability of consequences for one’s own actions is not operated by the mechanism of coming before a God on a Day of Judgment. In India, the man is free to choose between good and evil and experience the fruit of his own actions during the present stage of existence or at a later time in any successive stage of existence. These ideas shape our attitude towards others as well as our relationship with God. 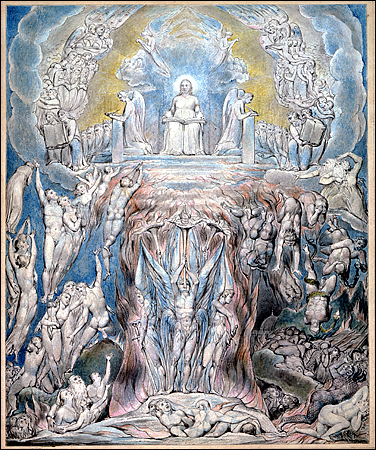 The Day of Judgement has no particular relevance to my belief in God. Jesus taught His disciples the manner in which they must pray to God. 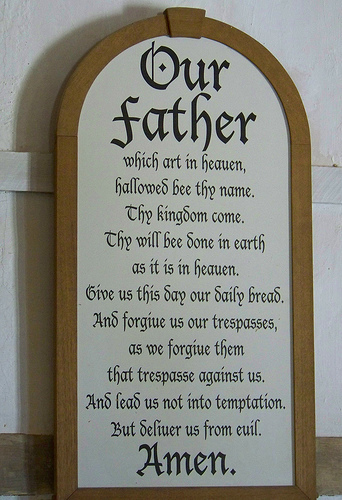 From the Book of Matthew, Chapter 6, Verses 9 to 13 are recited and popularly referred to as ‘The Lord’s Prayer’. The idea of forgiveness is expressed in the context of a debt. To cancel or forgive a debt means an agreement to give up all future claims for repayment and hence there will be no future penalty and no punishment for an act of omission or commission. This same idea of forgiveness is also expressed in the context of sin. 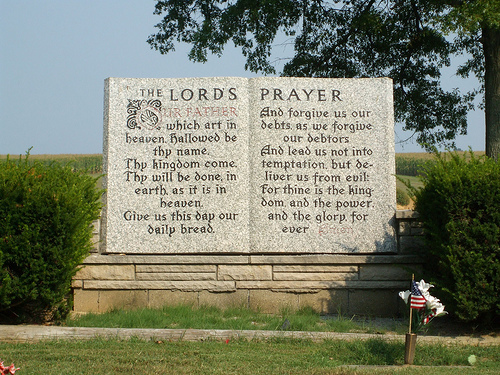 The Lord’s Prayer in the Book of Luke appears in Chapter 11, verses 2 to 4. Verse number 4 asks : “Forgive us our sins, for we also forgive everyone who is indebted to us( or, Forgive us our sins, for we also forgive everyone who sins against us ).” This idea of forgiveness is not simply about our sense of our anger or resentment and a desire for retaliation and to extract penalty for an offense. This idea of forgiveness is more akin to a pardon that could only be granted by a Judge. In the Judaeo-Christian and Islamic Belief, God officiates as a Judge and could grant a pardon and then there is no further punishment or consequence for an offense. In the Land of Bharat, God refrains from the role of being a Judge. God is viewed as a Defender, Protector, and Restorer of Dharma or Right Conduct. God would intervene if the Scales of Balance get tipped towards ‘Adharma’ or immoral conduct. Individuals do not come before God for His Judgment and they would experience the consequences for their own acts according to the Law of Karma. God refuses the role of a Judge and He is not in the business of forgiving sins or debts. Indians firmly believe in the practice of repaying their debts and unpaid debts are passed on to the next of kin or to the member of the next generation. Indians may seek assistance or help to repay their loans or render service in lieu of such repayment. They do not pray for forgiveness of their debts. For their acts of offense, misdeeds, and sinful activities, Indians only ask for patience and tolerance which is described as ‘KSHAMA’ in Sanskrit language. For any offending behavior or crime, an Indian may plead for a sense of restraint and forbearance. This tolerance of an offense, this restraint in retaliation or counteracting a misdeed is expressed in the context of a belief in ‘Prarabdha Karma’, the Karma that afflicts the body as a consequence of past actions. There is no escape from this experience of ‘Prarabdha Karma’ and God does not interfere with the operation of the Law of Karma. However, God may grant protection( Raksha ) or offer refuge( Saranu ) , or provide a sanctuary( Aasraya ) to a person who is seeking to defend his existence from acts of retaliation by his enemies. The ideas of ‘Saranu’, ‘Raksha’, ‘Aasraya’, or ‘Aasaya’ could provide defence, protection, support, and help without actually forgiving the individual from eventual consequences for his actions. The concept of forgiveness of debts and sins is not reflected in the ideas and concepts that originated in India. An individual under no circumstance should make any attempt to avoid personal responsibility and a Superior person would not personally retaliate and would not punish an offender in a fit of anger. The Indian tradition demands us to show patience while dealing with the mistakes and misdeeds of others and urges us to take action to correct a wrong instead of extracting a penalty for the offense. 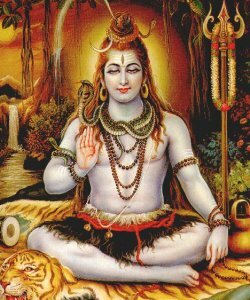 Lord Shiva( the Auspicious one), is known as 'Maha Deva'(Great God), Sambhu or Shambho(the Benignant one),an Ocean of Compassion and a Destroyer of Sensuality, a Great Ascetic, the Restorer of Peace. Shiva ! Shiva ! Karunaabhdey, Sri Maha Deva Shambho. Shiva= The Auspicious One, Karunaabhdey = An Ocean of Mercy, Compassion and Grace, Shambho= The Benignant One, Kshamasva= show patience and tolerance, Sarva mey tat= all( actions/activities ) without any exceptions, Vihitha=enjoined or explicable, Avihitham= Not enjoined or inexplicable, Aparaadham= acts of offense or crimes and misdeeds, Krutham=generated or attributed, kara= hands, charana=feet, Vaak=Speech, Karmajam=predestined as a consequence of a past act, sravana=generated by an act of hearing, nayanajam=generated by an act involving the use of eyes, Maanasam = generated in mind or mental visualization of physical acts. This prayer specifically refrains from seeking an unconditional pardon and does not aim at obtaining forgiveness. The prayer seeks Lord’s Compassion,Mercy and Grace; and is seeking for His patience and tolerance as the individual has no real escape from the consequences of all of his acts without any exception. 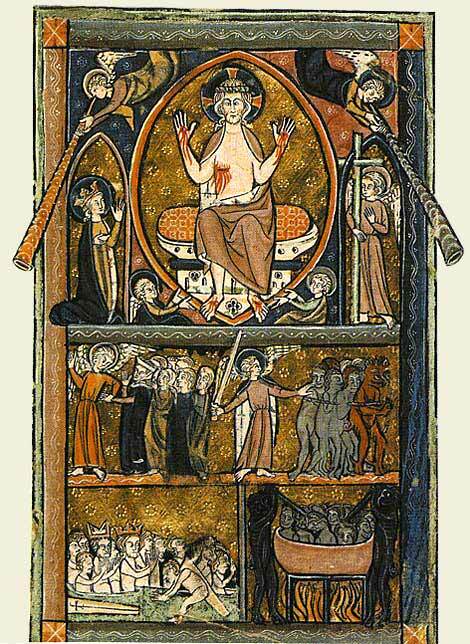 The individual is seeking Lord’s patience and tolerance as he faces the inevitable consequences for his misdeeds and crimes; and Lord’s Mercy, Compassion, and Grace are needed to mitigate and to help the individual to bear the consequences for such acts and to gain redemption. Let it be a sin or a debt, I am encouraged to do my best to redeem myself and should not desire forgiveness.